After keeping everyone one waiting for way too long, Ntel has finally decided to make their sim cards available in Lagos. Although at the time of launching, Ntel promised that their sim cards will be available in both Lagos and Abuja by by April 2016. But for some reasons best known to them, that of Abuja was available almost as promised but Lagos was delayed. But the good thing now is that the wait is finally over., so if you happen to reside in Lagos and you are interested in getting the Ntel sim card, then you can do that now. Also you have to note that on getting this sim card, you will be asked to subscribe to any of their 3 available plans before the sim will be made available to you. 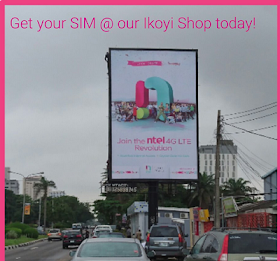 If you are want to get the sim card then visit Alfred Rewane (Kingsway Rd) by Rumens, Opposite Ikoyi Registry, Ikoyi, Lagos. Although this is their first outlet, but we hope more will be opened soon. I will try to keep you guys updated on any news that comes up.